MyU Preview is a series giving a peek into pages within the new MyU. Keep in mind MyU is still in development and some things will be updated between now and Go Live. 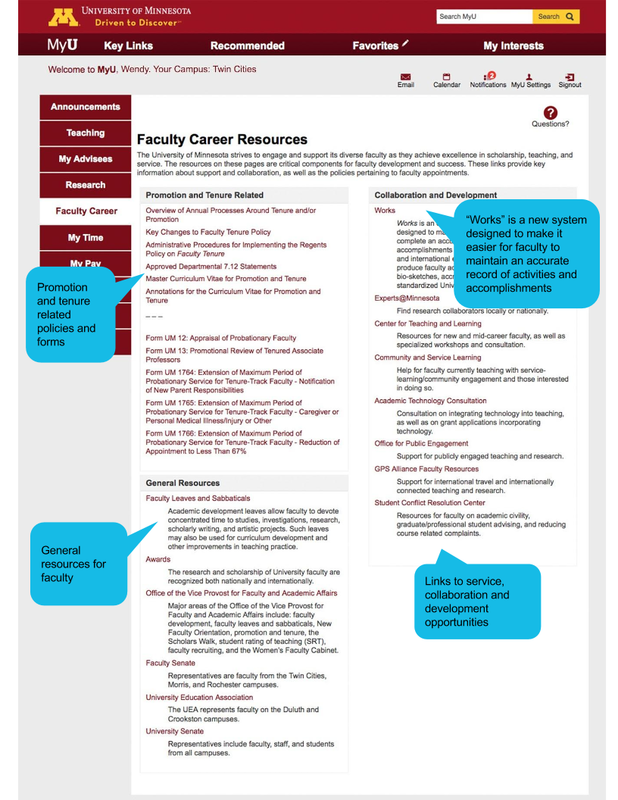 After the new MyU launches with the Upgrade in spring 2015, faculty will have access to the new Faculty Career tab. The tab aggregates resources for tenured and tenure-track faculty. These resources are critical components for faculty development and success: key information about support and collaboration, as well as the policies pertaining to faculty appointments. Click the image to view more detail.